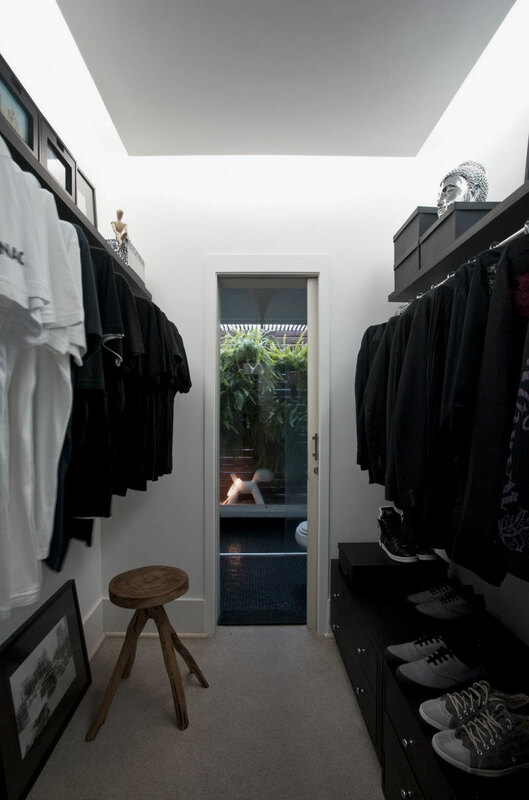 Perhaps one of the least favorite rooms of all men! 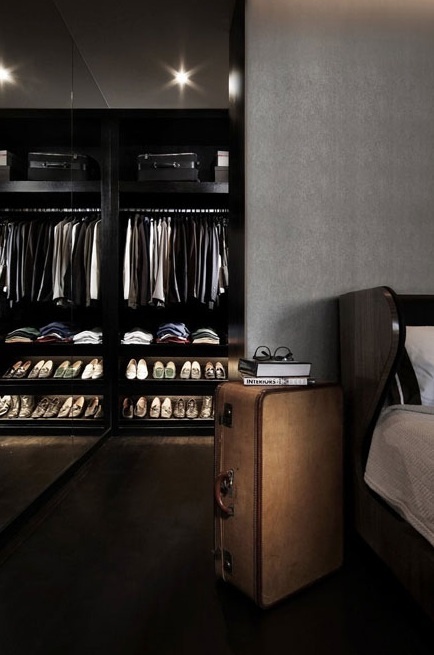 I suggest you to glance over several closets/clothing rooms (the examples for men will definitely appear, too) – maybe you’ll find a solution the most appropriate for you or will just want to reorganize your closet! 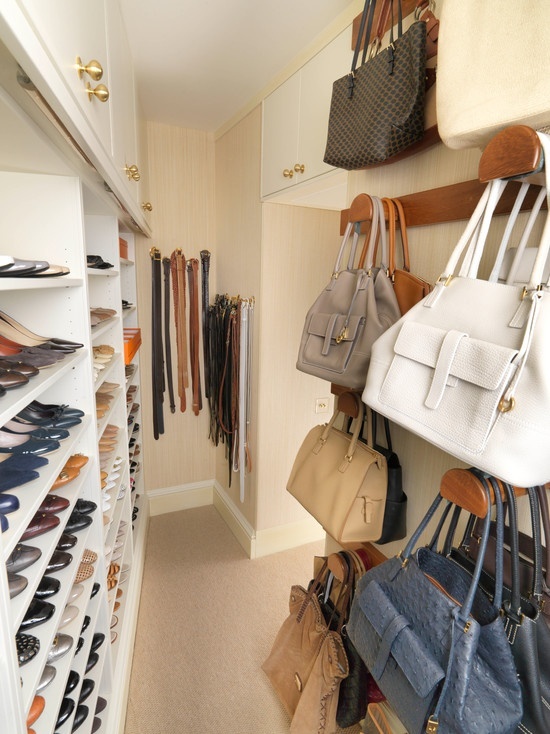 To prepare a wardrobe in a style of a clothing store: to form a niche/shelves for clothes, handbags, high-heels, a separate area for accessories, to put a seat or a sofa in the center and you have the most perfect clothing room! 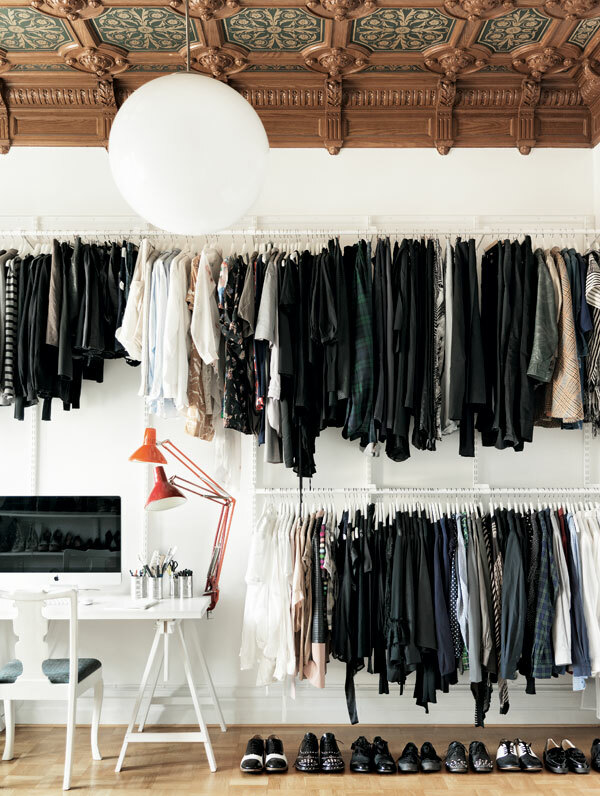 This principle you can use only while forming one area and everything that’s more or less used, hide somewhere more far away. 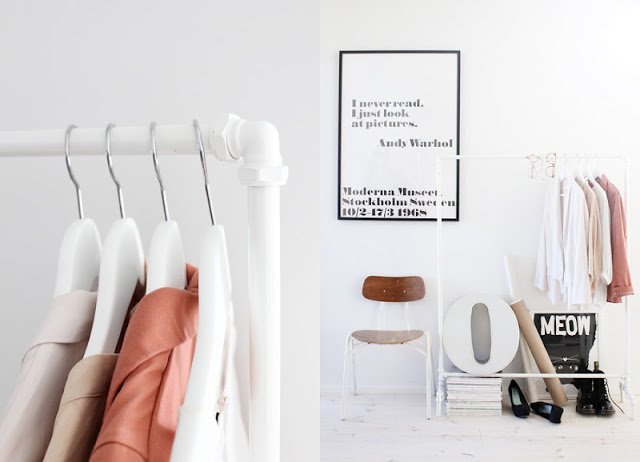 To put everything in order not making a demonstration room from a closet. 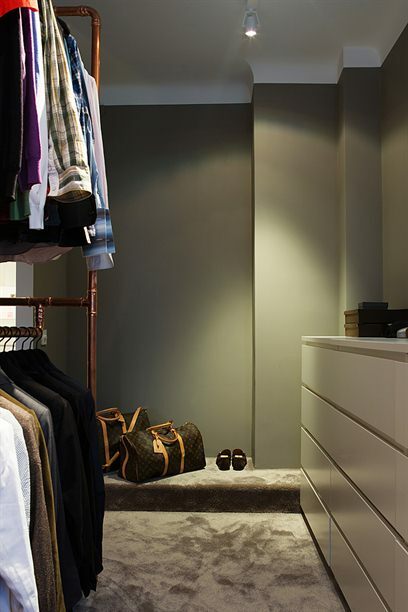 Variants of men’s closet – from minimalistic modern to the simplest, but a very tidy one. 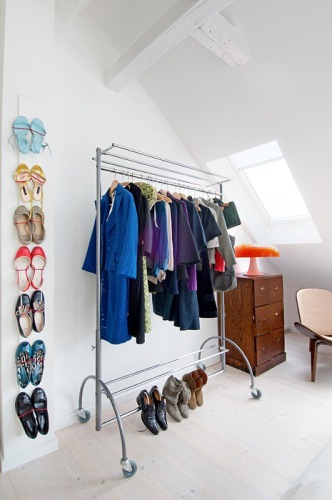 To hang dresses, sweaters, T-shirts, coats and everything that you want to demonstrate openly, combining a clothing color to a room. 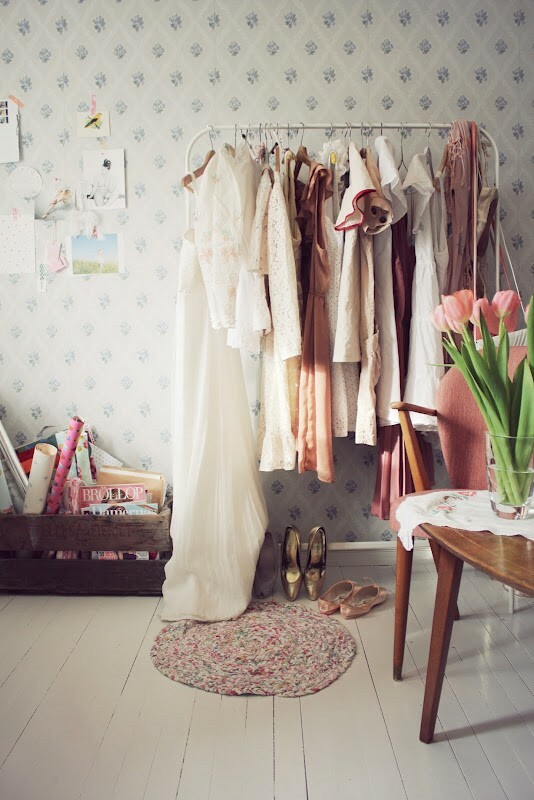 You can also include some different accessories or elements which create a separate corner from demonstrated cloths. 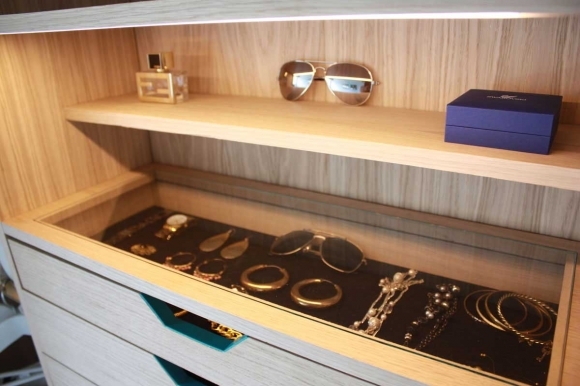 To design such a closet, where everything would fit and which would look elegant and not take a lot of space while closed. 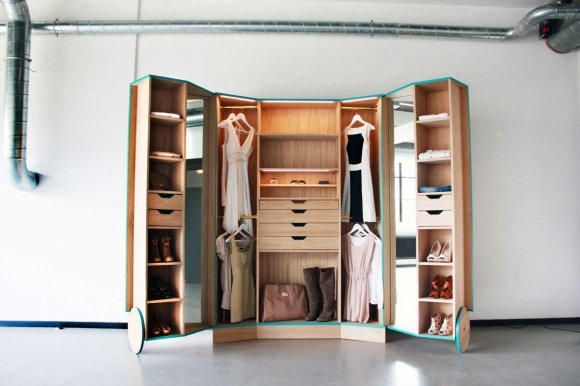 To illustrate this solution I have chosen a so called “Walk in” closet, created by Hosun Ching.